Since 2004, you have authored a highly-successful series of five Cottonwood novels. Now you have written an autobiographical account of your service as a Navy midshipman and naval officer spanning some 11 years. Why the change to non-fiction? Much of the material in the Cottonwood novels was a fictionalized version of what I actually experienced growing up in a small Michigan town during World War II. The stories, that so delighted my readers, were about real people, places, and events that occurred when I was a young boy. But there’s the rub. I was a young boy. Decades later when I wrote the Cottonwood novels, because there was hardly anyone still living to corroborate my recollections, I decided to fictionalize them. Was that a good thing or bad? It turned out to be a very good thing, because this circumstance provided me with a great advantage. I was able to exaggerate and expand personalities of the characters. More importantly, I could blend the personalities and characteristics of more than one person into a single, stronger and more interesting, fictional character. Of course, this required a healthy amount of imagination, which was one of my strongest attributes having spent the majority of my boyhood as an only child. And because my parents both worked in defense plants during the war, these circumstances meant that I spent a great deal of time alone on my grandparents’ farm which was isolated about ten miles from town. In short, I became my best and only friend. So I conversed with myself in my head a great deal of the time. This stimulated my imagination. Was shifting to non-fiction a difficult transition for you? Not at all. All my life, I’ve been considered a good story teller. Successfully writing five, 400-page award-winning novels convinced me I was right. Moreover, the advantage of telling my Sea Stories was that didn’t have to rely on anyone to corroborate the details. I could rely solely on my memory. Which did you find easier to write – fiction or non-fiction? Non-fiction was much easier for me. In fact, I wrote the Sea Stories in record time, as compared to the Cottonwood novels. I didn’t need to invest time and energy creating the stories and antics of fictional characters. I simply recounted what I had observed and remembered as a young man. Moreover, when I was in the Navy, I was very fortunate to have experienced a great number of truly amazing real life adventures and met some most remarkable people as well. In short, I was very well prepared to write the 60 vignettes comprising Sea Stories. And I am very happy these have been recorded in written form for everyone to enjoy. You were over 60 years old when you began writing your first Cottonwood novel. Why did you wait so long? The answer is quite simple. I was too busy to write books. 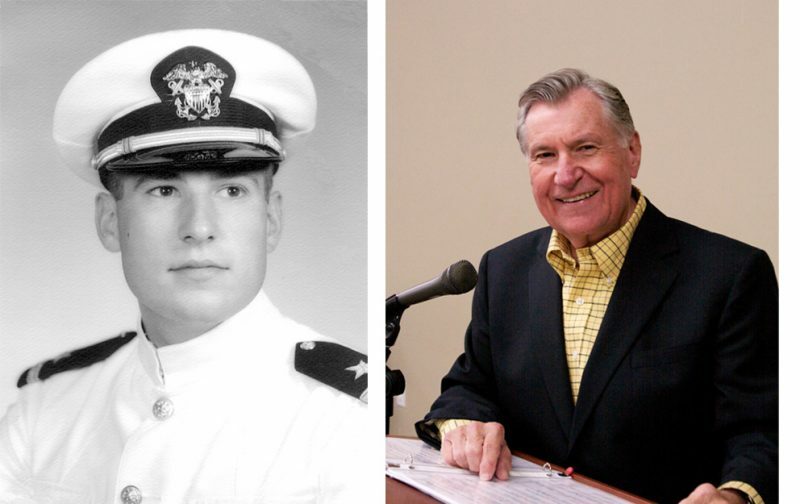 After leaving the Navy in 1967, I sought employment in a field where I could apply the considerable technical training and job experience I had garnered during my Navy years. Fortunately, my departure from the Navy coincided with a period of great change in the business world. This change was created by the ever-widening use of computers. So I wisely sought a job in what, in those days, was called data processing consulting. Today it would be called information technology or IT consulting. My clients were Fortune 500 companies that were just learning how to make efficient use of computers and how to manage people who developed computer systems and operated the new equipment. 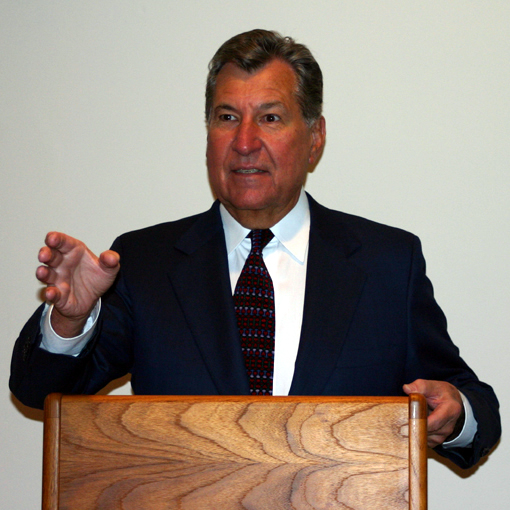 To make a long story short, before I became a writer, I spent over 30 years as the owner and operator of a number of IT consulting and software businesses serving large corporations. I traveled all over the world consulting and lecturing on this subject. I didn’t have time to write books. What caused you to change professions? Johnson & Johnson was one of my most important IT clients. A great proportion of their customers were headquartered in Nashville, home to hundreds of health care businesses. J&J implemented a new marketing system that required their customers to become more sophisticated users of IT. J&J decided to establish an IT consulting business in Nashville. Since I had experience in launching this kind of business, J&J retained me to launch its new business. My wife Joanne and I moved to Nashville, temporarily we thought. When the IT consulting business became successful, J&J decided to move it to their headquarters in New Jersey. By this time, Joanne and I had fallen in love with Nashville, so we stayed there and purchased a house. The house required a good deal of remodeling that occupied part of my time for about four months. When I mentioned to our daughter Wendy that I had a lot of spare time on my hands, she said, “Dad, why don’t you spend that time writing down those stories you’ve always told us about growing up in Michigan during World War II?” I took her suggestion and became a novelist. Was becoming a novelist an easy transition for you? Since I had written hundreds of white papers, articles, and training materials during my time in the IT consulting business, I considered myself a good writer. But writing fiction was an altogether new and different experience for me. In truth, I had a very difficult time writing fiction that met my high standards. Cottonwood Summer, my first novel, with a considerable amount of help from Joanne took over three years to complete. And finding a literary agent to represent me took over a year, during which we wrote some 170 individualized proposals to prospective agents. When we finally landed an agent, she insisted that the book be shortened and completely rewritten. In 1999, I had started what I thought would be a part-time hobby of sorts. Five years later, in 2004, my first novel was published. Did the other four Cottonwood novels take as long to write? Cottonwood Fall and Cottonwood Winter each took just two years from the first word written to publication. Cottonwood Spring only took one year. And Cottonwood Summer 45, an afterthought really, took three years. How do you spend your typical writing day? My writing day quickly took form and over the course of the 12 years of writing the Cottonwood novels. I seldom deviated from it. The Cottonwood books were all collections of individual scenes which were six to eight pages long. The scenes were arranged into 10 to 12 chapters in each book. Generally, I worked from a rough outline of the story. I started writing at about 7 a.m. and took a short break for lunch. Then I continued until I was exhausted, sometime between 2 p.m. and 4 p.m. I presented the first draft of the scene to Joanne in the late afternoon. She edited the scene before dinner and returned it to me. The next morning I entered Joanne’s suggested edits and drafted the next scene. This process was repeated regularly for each of the five Cottonwood books. When writing Sea Stories, I did not follow a plan. I wrote each vignette as it came to mind. When I arranged the vignettes in chronologically order, I discovered an unanticipated problem. I had often repeated the same content in more than one vignette. Editing out the redundant content was a time-consuming process. However, it was worth the effort. In the end, this 280-page book contains 60 vignettes, which are stand-alone stories, or episodes, that occurred between 1956 and 1967 or about 12 years of my life. Most vignettes are two to five pages in length. By writing, editing, and rewriting about ten vignettes a month, the book only took me six months to write. As I mentioned earlier, in each vignette I recounted an actual event from my memory, so the book took a less time to write. Why did you write Sea Stories? I wasn’t sure of the exact reason I was writing Sea Stories until the book was nearly completed. I worked hard to become the best naval officer I could be. And I believe I succeeded in that endeavor. But, as I describe in the 58th vignette, the Navy let me down. In my mind, I left the Navy, not because I wanted to, but because I felt that I had no other choice. Ironically, as I mention in the book, because of my successes in the business world, leaving the Navy was the best thing that ever happened to me. 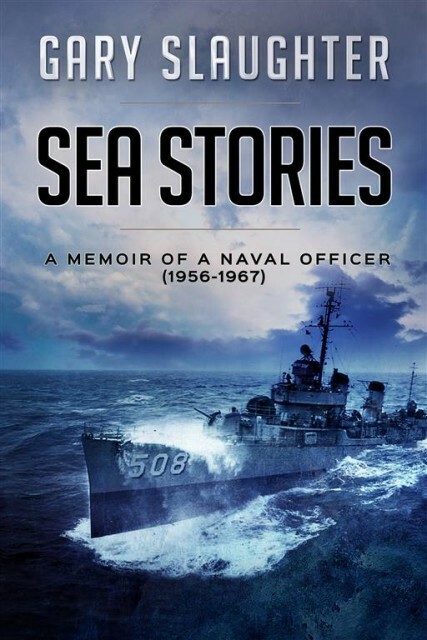 After 50 years since leaving the Navy, this book has given me the opportunity to tell readers just why I loved the Navy and to tell the Navy how much I gained from my naval service. I am very grateful for all the personal growth and wisdom I derived from my 11 years in the Navy. How will your shipmates react to Sea Stories? My USS Blandy shipmates will be pleased to learn the truth about the sorry state of our 1,200 psi boilers, as well as the stubborn resistance on the part of high-ranking officials to replace or repair those dangerous boilers, even after one exploded and took the lives of two boilermen. Prior to the explosion, repeated warnings and pleas for help from Blandy’s captain and myself, as engineering officer, were ignored. This pervasive cover-up of a highly hazardous situation led to my decision to leave the Navy. After viewing the Bedlam Productions documentary describing the dangerous confrontation between the USS Cony and the B-59, the Soviet submarine armed with a nuclear torpedo, many of my fellow Cony shipmates were greatly upset because Bedlam only told the Russian side of the story. Sea Stories tells the Cony side of the story, including our efforts to placate the Russians and to treat them with respect. We even provided them with a large parcel of freshly baked bread and American cigarettes. What will the reader learn from Sea Stories? Hopefully readers will learn two important things. First, being an exceptional naval officer is a complex, difficult, and often dangerous business. This is especially true for those of us who took our jobs seriously and worked diligently. Second, being committed to the Navy is like being committed to your spouse. Even if your relationship falls on hard times and divorce is the result, 50 years later you may still hold warm feelings in your heart toward that former spouse. Now that Sea Stories has been published, do you have another book in mind? Yes, I do. But not before fulfilling my obligation to promote Sea Stories. For the next six months or so, I will be on the road giving book talks and attending book events all over the country. It’s exhausting, but I truly enjoy telling people about a book that I consider to be a good one. I am considering another non-fiction book about the people, places, and events that I experienced during my 30-year career in the IT consulting and training business. I am sure that it will be as interesting to readers as Sea Stories.